"I had an instant crush on her...INSTANT." Colton told me, when I asked how him and Amanda met. These two worked together, and when their paths first crossed, there was instant chemistry. Amanda laughed and let on that she too, had a crush pretty quick. Colton tried his best to play it cool, but his efforts made Amanda question him since he didn't ask for her number until weeks after meeting. Facebook stalking instead, commenced immediately. A few weeks of innocent flirting followed. If Amanda needed to carry out trash, so did Colton. If Colton needed to go to the freezer, so did Amanda. Their crushes on one another became undeniable, and soon - they were going on their first date. Those first few dates led to some serious feelings and A+C both admit they knew where they wanted this relationship to go very early. When ya know, ya know you guys, and these two knew! While out shopping together one day a few months ago - they decided to go look at rings. And just like that, they found the perfect ring for Amanda. These two lovebirds got engaged soon after discovering that ideal ring, and are now planning a 2017 Spring wedding! 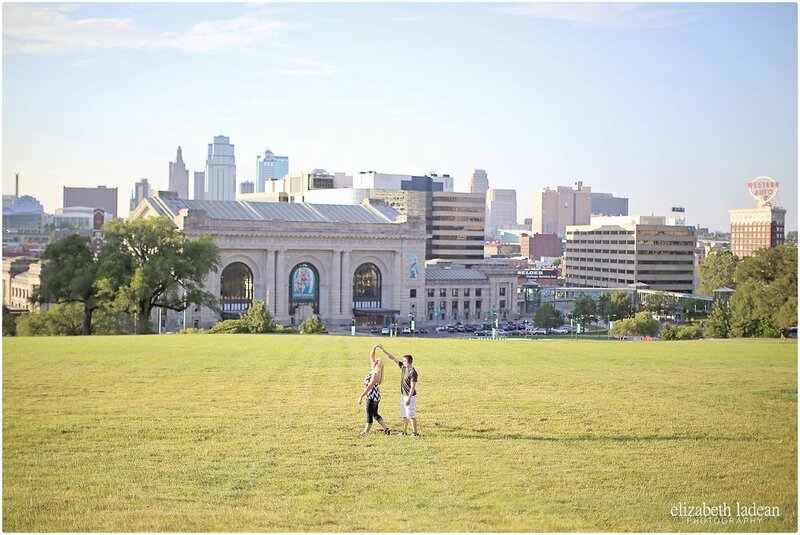 I'm excited to share a few of my faves from their engagement session at Liberty Memorial in Kansas City! A crazy-hot muggy day after a monsoon-style storm, these two loved it up all over those infamous steps, walls, and green space, overlooking the beauty of downtown KC! 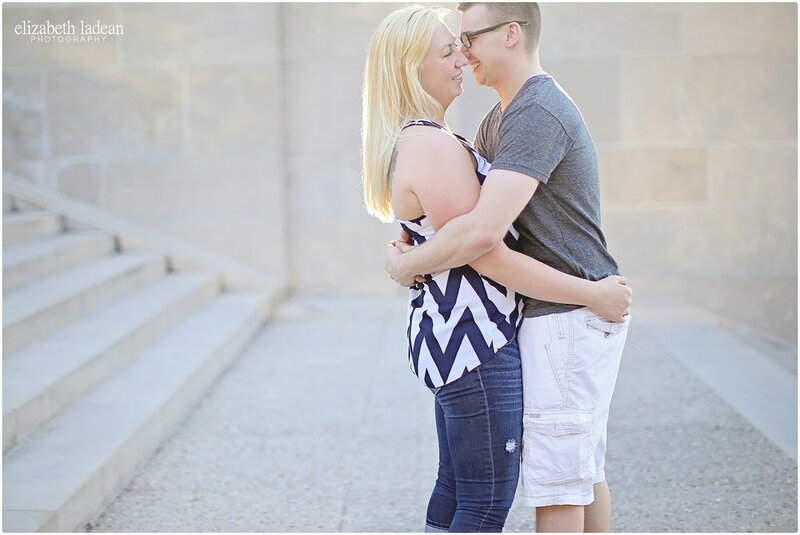 Amanda + Colton - I'm SO happy to be working with you guys, and I can't wait for next April! Downtown KC view never gets old!! - Made even better with a couple dancing in the grass! Happy Wedding Anniversary, Adria + Derrick!